Karen Johnston of Mosaicworks has been creating mosaics for more then 10 years. This information packed Sunday Workshop (10:00am-5:00pm) is for beginners and/or novices. It’s all about being inspired and getting creative while making your very own 12″x12″ pique assiette mosaicked mirror. 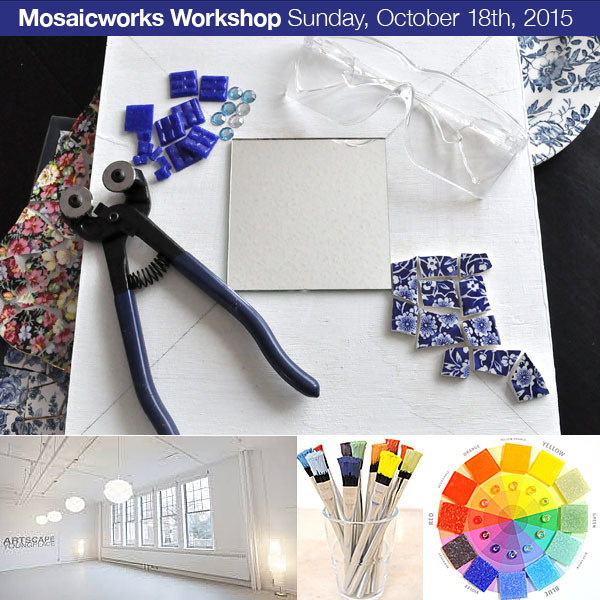 You will learn a little about the history of mosaics, techniques, tools and adhesives used plus where to find/buy materials and supplies (in the GTA) for future projects.